Little Acre Flowers is D.C.’s only 100% locally sourcing florist. Our garden-inspired arrangements reflect the seasons and include only the highest quality and longest-lasting ingredients sourced from as nearby as possible. Female-owned and run out of our studio in the U Street Corridor, we’ve received coverage through ABC News, Goop, Martha Stewart, The Washington Post, and Washingtonian for our unique “field to vase” approach. And we’re growing fast! We continue to grow our business by double digits each year, and we are looking for new team members to help us deliver joy to even more people in our region. 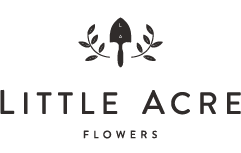 Little Acre is seeking a flower courier to help deliver our arrangements throughout the DC, MD, and VA areas.